/ Sopha-Mith Kong, PhD candidate In Biological Oceanography With Stiftung Alfred-Wegener-Institut. 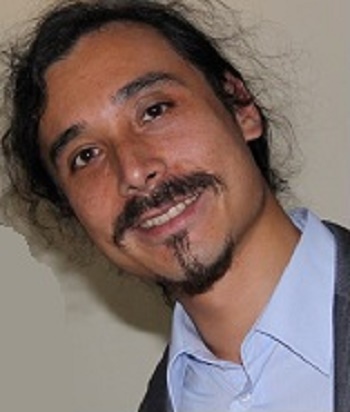 Sopha-Mith Was Born In Japan And Is Currently Based In Germany. Sopha-Mith Kong, PhD candidate In Biological Oceanography With Stiftung Alfred-Wegener-Institut. Sopha-Mith Was Born In Japan And Is Currently Based In Germany. Sopha-Mith, what do you consider typical characteristics of your generation? Generation Y values results over experience causing a performance-driven life and work style. Life is shapeable according to their imaginations. Generation Y likes to socialize in broad networks while being competitive. Transparency in decision making is important, also knowing their people, getting involved, and the ability to inspire. What I find most engaging are relationships and cooperating with others, having access to subject matter expertise, seeing the bigger picture and working on challenging tasks in a scientific environment. Email! If the person is nearby, a personal conversation could be preferable. I’d like to attend technical and multidisciplinary programs to specialize in my scientific area of expertise. I also value opportunities to network and to discuss topics with other people in order to learn new methods and to get to know different perspectives. Besides, I would like to develop my presentation and facilitation skills. How does your ideal workplace physically look like? At my ideal workplace, I’d have a wide desk with two personal computers, one workstation responsible for the scientific hard work, the other a mobile computer for doing presentations and writing. I also appreciate a nice view from my window and plants in the office. … a constant source of experience and new information for development and self-fulfilment. A teacher at university. He taught me that it doesn’t really matter what you do, as long as you do it with enthusiasm. No one else knows what’s best for you, just listen to yourself. When do you experience “flow” – the mental state in which a person is fully immersed in an energizing activitiy and is so focused that she loses track of time? There are a few things I like to do when I get fully absorbed in an activity. First, trying out new things, e.g. new software, can get me for a long time. I also like doing sports and listening to stories. Finally, games including computer and board games, can keep me awake all night. Generation Y likes social networks beyond workplace boundaries! Thank you, Sopha-Mith, for these valuable insights!